So I finished the artwork for WHERE THE MOUNTAIN MEETS THE MOON right under the wire...okay, I bent the wire a bit, so I had to get the art there as soon as possible. 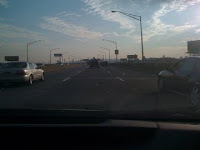 So, I decided the fastest way was to jump in the car and bring it to New York, NY myself. Handing the art in was strangely anti-climatic, perhaps because my brain was a bit numb from the two month intensive creative purging. But a pleasant stroll in Central Park with Alvina and chat with Hans Christian Anderson helped. Well, it helped enough that I could be fairly coherent during a little audio interview Little, Brown will put on their website as a promotional for the book. At least I think it was coherent. I realize I am not the best judge. YES! My elusive half-moon cookies, called in NYC-speak "black and whites." To me, they will always be half moons and they will always be my remedy for lethargy. For as soon as I ate one (or two) I felt ready to go again. Which is good, because I am now doing a three-week marathon of school visits in Texas. Yes, three weeks. I had to bring my bunny slippers so I could make my hotel room feel like home.